W.D.C. 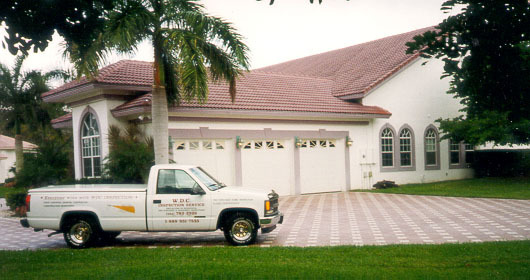 Inspection Service, Inc. is independently owned and operated by William Cornish with 35 years of combined experience. He was born and raised in a small town in New England where honesty and integrity are a virtue and is an expert in the field of home inspections. He has built hundreds of residential homes and performed thousands of home inspections. Our company understands that purchasing a home is one of the most important and most expensive investments you will ever make. Our expert team of inspectors can pinpoint problems that may be overlooked by a buyer and help you to protect the tremendous investment that you are about to make. This is no time to shop for the least expensive inspection. It is better to choose an inspector based on experience, education and expertise rather than cost. The cost of a home inspection is very small compared to the cost you can save. It can save you hundreds or even thousands of dollars or it can provide you with the information you need to save you from purchasing a home that may be a nightmare for you. It is a decision that will affect you for years to come. The process can be extremely stressful and confusing and of course there is always considerable risk when making such a large purchase decision. A professional home inspection will significantly reduce your risk and help make the entire home buying process easier and less stressful.